. Her bass was named Amberhart Dreamstarter so I [sort of] made Amberhart as the guitar name itself. I am [sort of, as well, but this one's too sentimental] planning to sell the next ones we make, provided that school doesn't stop us. The neck is made from some wood which I never really bothered to remember. 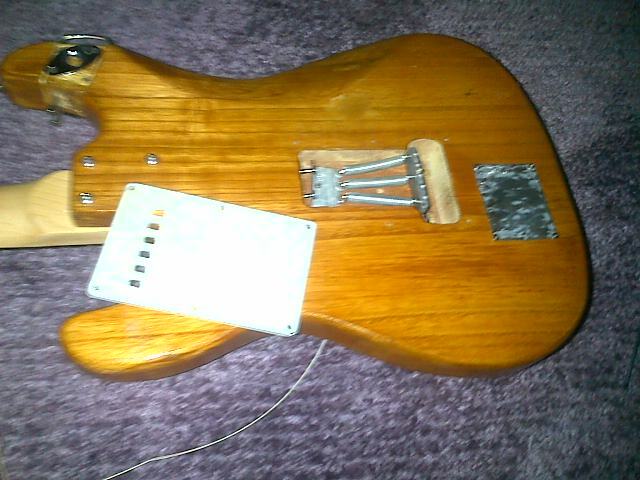 Since I was careless with the handsaw, it turned into a Telecaster neck for the Strat-like body [is this blasphemous?] 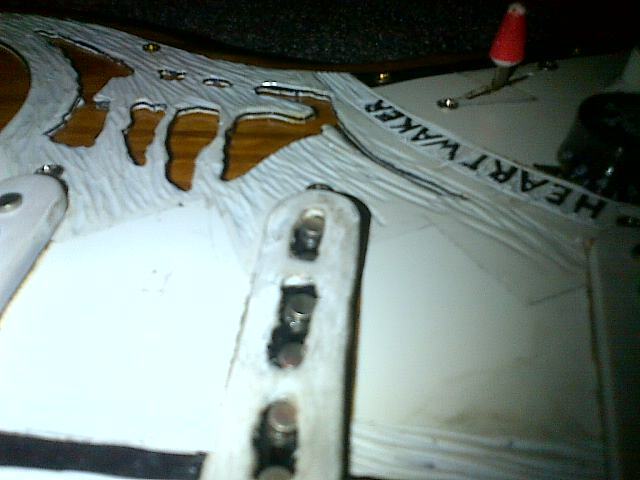 and I based the inlays of the neck from my sister's bass with a few adjustments and extras. Chopped the body with a handsaw [I'm cheap. Hate me] from a cherry [don't hate, it's the nearest one in the yard]. 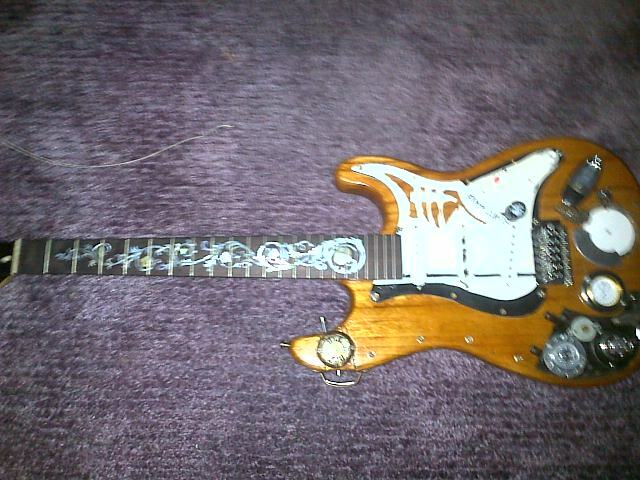 Asked some cousin's friend's friend to rout it, and fortunately he made it an S S H [I was going to rerout and make it SHH by /stealing/ my Ibanez' humbuckers to replace the melted single-coil] but alas, I was too lazy to cut the holes for the humbuckers on the pickguard. I canvassed the local shops if they had the overdrive DiMarzio singlecoils with no luck [hell, I've been through almost every guitar shop in Manila and still can't find any]. Before I finished this [just today] we did some cleaning [few weeks ago] and found some old CPUs and their precious hard-drives, which I took apart and found them quite steampunk. THERE I SAID THE WORD. STEAMPUNK, THAT'S THE THEME. 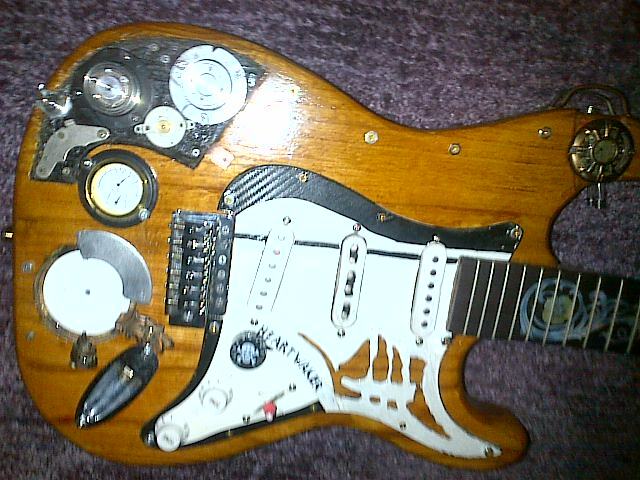 I carved away depressions and holes to expose the inner 'engine' of the guitar, and to add a reactor which I haven't figured out how to turn on without removing the soon-to-be-brass plate at the back. 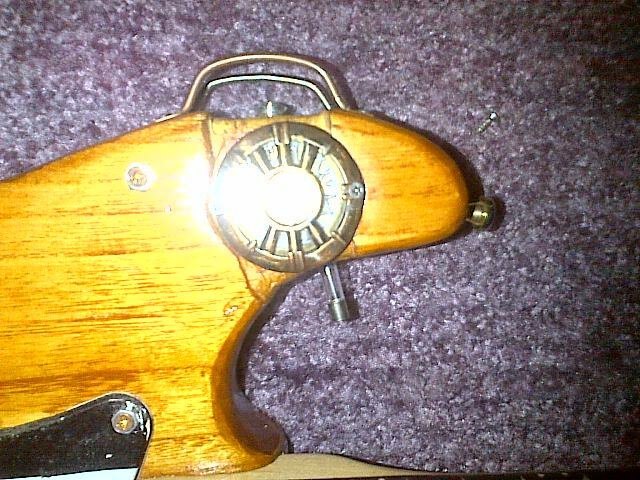 There's a seemingly-immortal clock near the upper strap-lock with extra brass piping, chemical tubes [they're fuses, actually] and some screws. Along with those is a hygro/thermometer which I realized is somewhat handy. 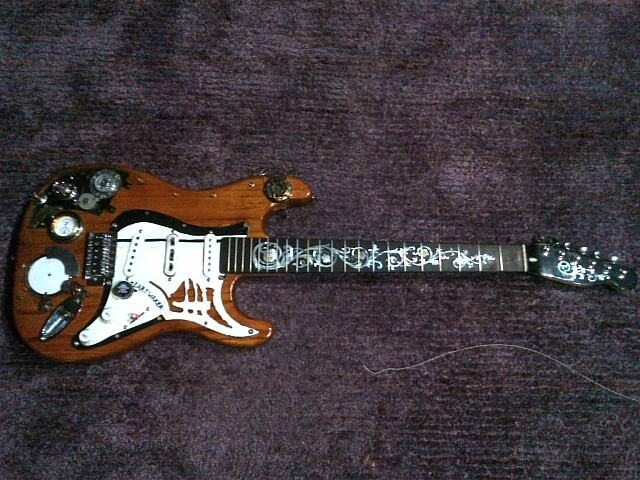 What really makes this sentimental to me is the fact that I worked on it starting March 21, 2014, did some hiatus for the whole April, and I managed to finish it May 31, 40 days of work, almost 85% handmade and I am actually trying to make a custom, 2-guitar case for this custom guitar. Sorry for the long story, here's what I made: Amberhart Heartwaker. That's awesome dude well done! 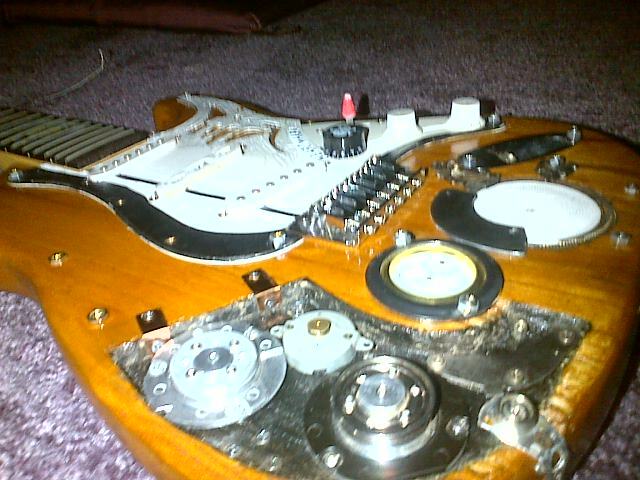 I decided to chainsaw some parts off, and rewired most of it and gave it a relic. Aaaaand I really have no camera at the moment, but imagine it being burned and having a halberd-y look.